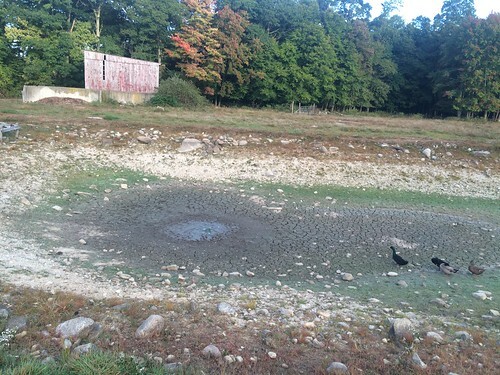 Due to lack of rain and drought conditions in Connecticut (not nearly as bad as elsewhere), our pond is at the lowest point we’ve ever seen it. It’s pretty much a muddy wet spot. Our ducks aren’t so happy at the moment. There’s a storm forecast, along with several days of rain, so hopefully the situation will begin to reverse.